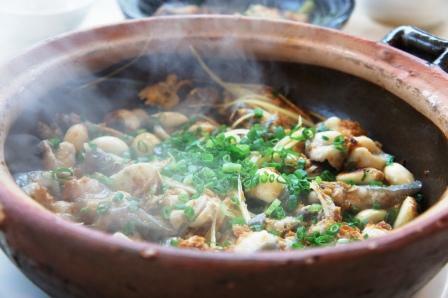 Hakka cuisine is the cooking style of the Hakka people, who are mainly found in southeastern Guangdong and Fujian provinces, but also may be found in other parts of China. 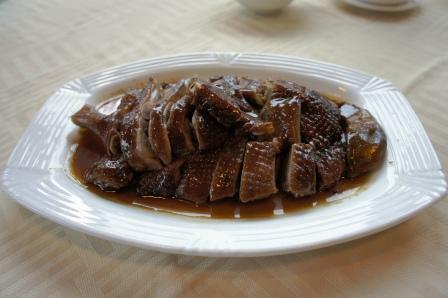 Kejia (Hakka) food is very easy to find in many reasonably priced restaurants in Shenzhen. 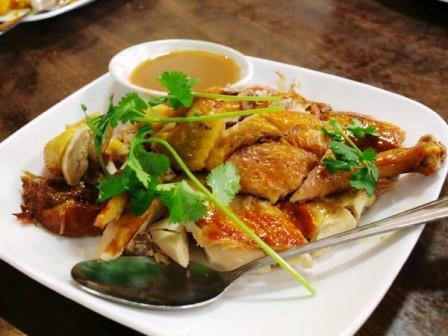 The menus are fairly standard in any Hakka restaurant, Some of the best buys are the chicken stew (清炖鸡), pork soup (猪肉汤), braised bean curd (让豆腐) and the vegetables cooked in lard (猪油炒菜). 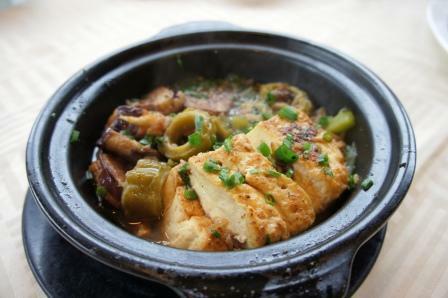 Braised bean curd (让豆腐) is a classic Hakka dish. The bean curd is hand made and freshly made daily. As a result, the taste is unforgettable. The smoothness and the flavour of real soy bean curd rather than the flour augmented type found in the supermarket variety tofu combined with the bits of minced meat topping and the preserved beans used to flavour the dish. Excellent, and polished off cleanly within minutes. 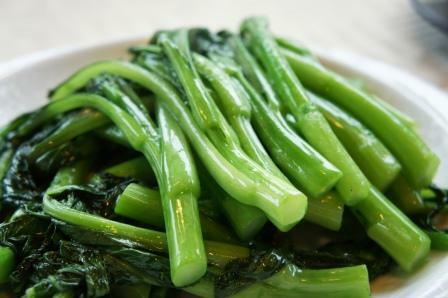 The choy sum vegetables cooked in lard was excellent. Cholesterol aside, I maintain that lard just makes the vegetables taste so much better. And even the lard is delicious. 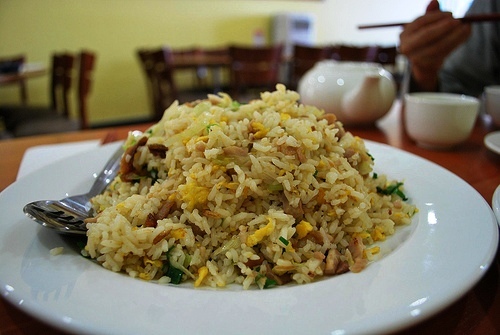 The rice in Hakka tradition is not cooked in a rice cooker like most other restaurants. Instead, it is individually cooked in earthen bowls and steamed in a large cooker. It seems that the earthen bowls impart a unique fragrance to the steamed rice and somehow enhances the flavour of the rice, making it taste even more fragrant than Thai fragrant rice.